With a population of over 1 million people living in the diverse city of Birmingham, driveJohnson’s has local driving instructors covering most areas in and around the city. Taking your driving lessons in Birmingham with us couldn’t have come at a better time. We have a fantastic sale on, where you can save up to £50 on a block booking of 10 lessons. Oh, we almost forgot to mention our 92% first time pass rate too! The typical waiting time to start your first lesson in these areas is between 1-3 days. If you are looking for that fast pass, then there is a high chance we can help you. 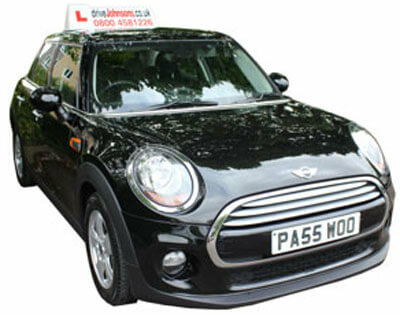 With most of our intensive driving courses in Birmingham, we usually recommend the pupil has an assessment lesson first. This enables our instructor to assess the ability and then recommend a suitable course that works for the pupil and gives them the best possible chance of passing first time. You can book an intensive course today over the phone and secure your slot by paying just £50-£100 upfront to secure a dedicated driveJohnson’s instructor. If you are coming to us with no experience whatsoever, we would typically suggest a course over 5-10 days. However, if you have taken a test before and just need some top up hours to get you ready then we can usually do this over 1-2 days, depending on the notice you give us and instructor availability. Established since 2005, we have been serving the area for many years. We are regularly chosen by youth team players from many top football clubs such as Birmingham City, Aston Villa and West Bromwich Albion for the same reasons; Lessons are enjoyable and they pass fast! Learn in variety of cars such as Audi A3, Volkswagon Golf and Ford Fiesta to name a few. Lessons are available 7 days a week from 7am to 9pm. Believe it or not, and hopefully it doesn’t happen to you, but there are many instructors out there who don’t know the areas they are teaching you to drive in. Online booking agents are taking block booking payments, then subbing your hard earned money out to instructors they don’t really know and often the instructor doesn’t even know the area. At driveJohnson’s, all of our driving instructors in Birmingham are local to the area and have many years of experience at the local test centres near you. I passed my driving test today with the help of Saatchi. Really good instructor and I'll be recommending her and drivejohnsons to everyone needing driving lessons. I had my driving lessons with Saatchi and was really impressed. I was really bad at driving at the start of my lessons and by the time I took my driving test, I was so confident in what I was doing that I didn't even feel nervous on the day of my test. Thank you.